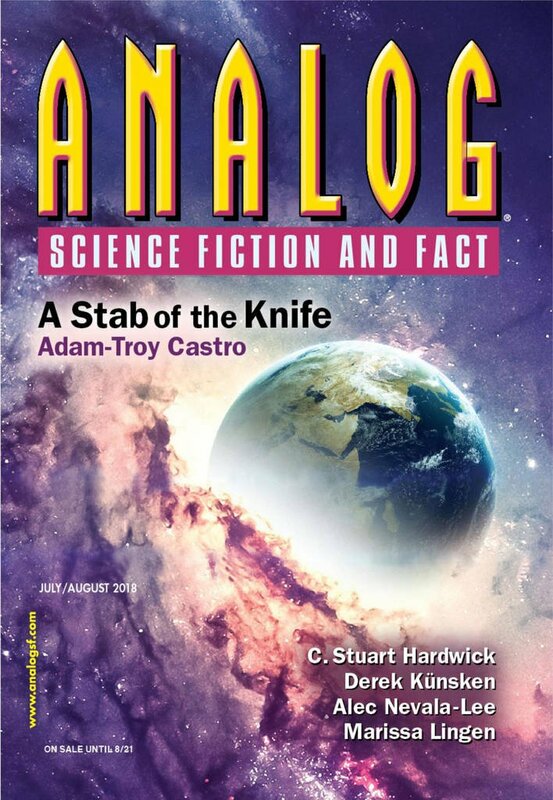 "Preface to The Handbook of Social Treatments for Conceptual Allergies," by Daniel James Peterson [bio] (edited by Trevor Quachri), appeared in Analog Science Fiction and Fact issue 07-08|18, published on June 15, 2018 by Penny Publications. Pro: It raises the idea that novel technologies like neural wiring might have unexpected consequences. Con: There are no characters, there is no action, and it’s really dull.